For the first time, YPT takes you to Sudan. Often ignored next to Egypt, Sudan is a land of extreme beauty with a history that goes back to the Pharaohs. Come with us as we explore ancient pyramids and necropolises, haggle in busy markets and meet the people of this off-the-tourist-radar country! We will be the first in line to witness history in action as this proud nation rises up after being freed from years of economic sanctions. During this tour, we will visit the capital city, Khartoum, and its numerous temples. We will then cross the white Nile and visit the second-biggest city, Omdurman, where we will explore the recent history of the country and the mahdist state which ruled before colonization by the British. We will then leave the cities in our hired 4WD cars to explore ruins of former glorious empires, including the Christian Kingdom of Makuria, the Necropolis of Napata and last but definitely not least, the pyramids of Meroe. While the pyramids in Egypt are now visited by thousands and thousands each years and can get very crowded, the pyramids of Meroe will be all ours! We shall camp right by them for a truly memorable night! We then decided to spice things up and create a group B to go where no tour has been to, the world’s only inhabitable piece of land unclaimed by any legitimate government: Bir Tawil! Bir Tawil has been claimed by many internet-based micronations, but very few of them have actually been there and no one has ever stayed to create a presence. There, we will be beyond the laws of any nation. After our visit of the wonders of Meroe, we will head north towards the Sudan-Egypt border — crossing not roads but the whole desert, as we follow the tyre tracks scored into the sand. We will then get to Bir Tawil and explore this land for a full day, setting foot where no one rules. We’ll truly be making history as the first group tour making it there! We’ll spend time camping and exploring the place! All return Pioneers will get a discount on this tour, which we expect to sell out very quickly. This tour comes right after our Whole Iraq Autumn Combo Tour as well as our Iraqi Kurdistan Standalone Tour and can be combined with them for additional discounts! Own arrival into Khartoum to be met at the airport by our guide and transferred to our hotel. Meet at 8pm for a pre-tour group dinner and meet your fellow travelers. Up early for breakfast at hotel before we start the day with a city tour of the Sudanese capital city. 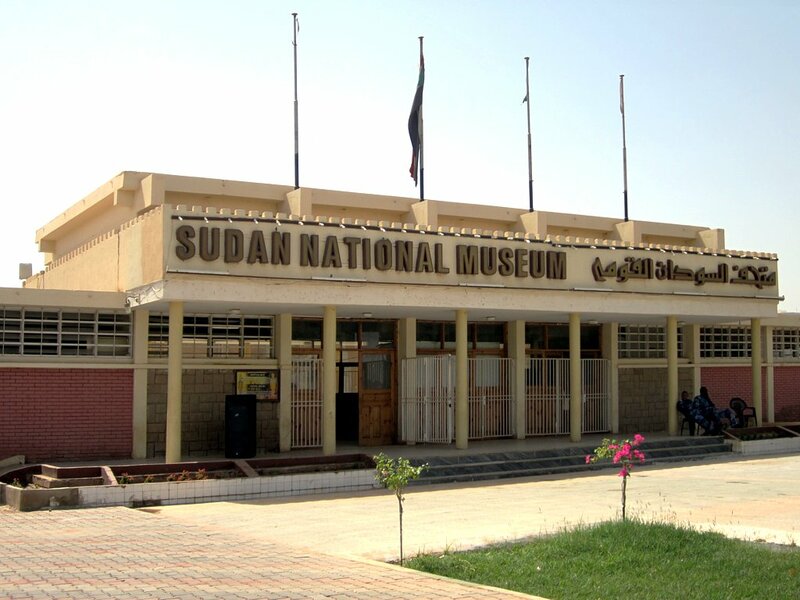 We’ll visit the national museum, which contains various objects dedicated to Nubian history. This Nubian area of the southern Nile was home of Africa’s earliest ancient civilization. We’ll also take in the beautiful temples saved by UNESCO from lake Nassir and rebuilt entirely inside the museum. Visit the Ethnographic museum. 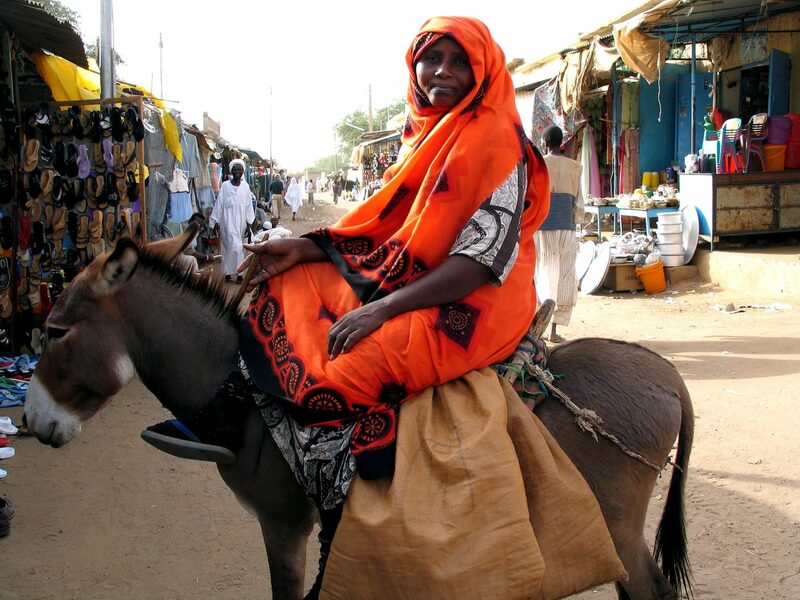 Sudan has 597 different ethnic groups that speak over 400 different languages and dialects, we’ll get a taste for the incredible diversity here. Cross the White Nile for a trip to technically Sudan’s second largest city – Omdurman. We’ll have a short stop at the Mahdi tomb and tour around the Khalifa house museum. The house served as the HQ of the Mahdist state. 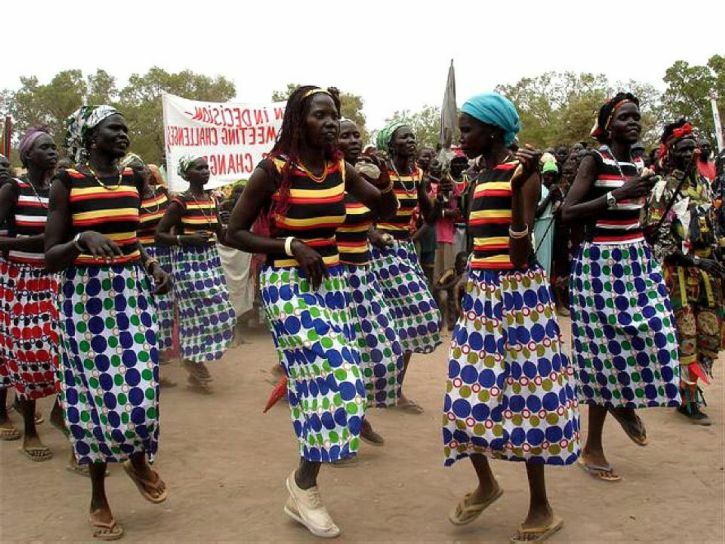 This was a short-lived religious and political movement that ruled Sudan until the British reconquered in 1898. Visit Omdurman’s beautifully colourful market before making our way back to Khartoum. Dinner and overnight in Khartoum. Very early morning breakfast before beginning our journey to Northern Sudan. We travel 500km north of Khartoum. On the way we’ll stop at Old Dongola, the capital of the Christian kingdom of Makuria. Today it’s a deserted city with the population having moved downstream in the 19th century. We move onto the cemetery of the Sofi holy men (lunch on the way). Take the ferry across the Nile and drive for a further 40km arriving at Kerma, a 3800 B.C archeological site. Overnight in a traditional Nubian house with a wonderful local feast. Another early rise to visit the site of Tombus. Here there are many Egyptian inscriptions and a huge granite statue dedicated the famous black Pharaoh – Taharqa. We continue 50km to the north where we stop to take in the amazing panoramic view of the rock art from the prehistoric period at Wadi Sebu. Lunch stop at a local tea house. Cross the Nile to its west bank and drive two hours up to Soleb; an ancient Nubian town home to a vast necropolis. Today we head back south driving for 320km before reaching the city of Karima, the location of ancient Napata. We visit the holy mountain of Jebel Barkal (Together with Napata, a UNESCO heritage site) and the numerous temples at the foot of Jebel Barkal. Trick or treat! It couldn’t be a better time to visit Kurru, the royal necropolis of Napata. Here we go deep underneath the pyramid to see the amazing painted tomb of the black Pharaoh Tanutamani. Overnight at Merowe Tourist Village hotel. Early morning visit to the nearby Nuri pyramids. There are over 60 burial places here. 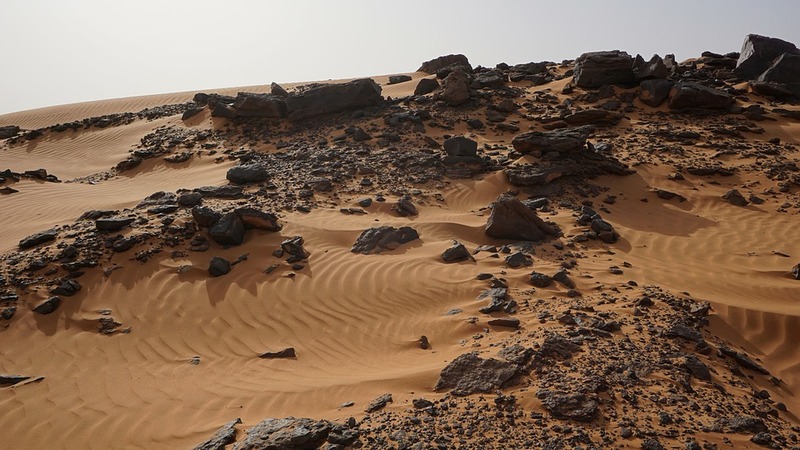 We continue crossing though the Bayuda desert up to Meroe. We’ll pass through and stop at desert settlements before reaching the famous Meroe pyramids. A perfect setting to witness the sun go down. TRIP HIGHLIGHT: Overnight camping in tents near the Pyramids! Rise and shine for an early morning visit to the royal city of Meroe. Visit the Roman kiosk, which represents the intersection of various cultures both European and African. Group A hits the road for Khartoum 150km from Naqa. Check into the hotel followed, by a local farewell dinner. Group B spends the night in Meroe, prepping up for the adventure of a lifetime! End of tour for Group A. Group B leaves early for the long trip to Abu Hamad, the end of the road in Sudan! The town of Abu Hamad is one of the last stops on the train, and name after a sheikh who was buried here. Our guide will introduce us to the legends about him. We enjoy our last dinner in a human settlement, before we head to… nowhere! Today, our expert guides drive us across the desert, where there is no road but the traces of the previous travellers’ cars. We are in the deepest depths of the desert and shall stop for many photo opportunities. It wouldn’t be a YPT trip without a party — the first party, probably ever, in that part of the world! As always, all good things must come to an end and we start making our way down towards Khartoum but this time as proper trail blazers; fathers and mothers of a nation. If you have a later flight we will explore more of streets and markets of this vast city before parting ways. 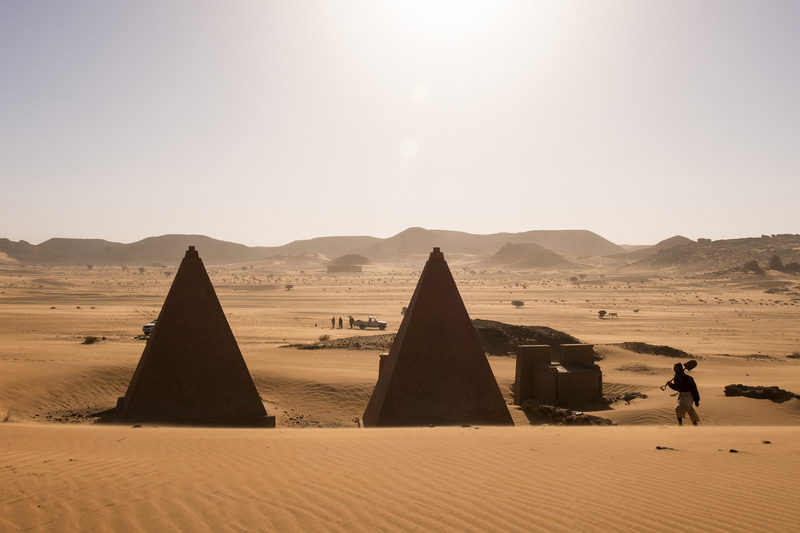 Camp under a starry night right by the pyramids of Meroe! Go to the world's only unclaimed inhabitable piece of land: Bir Tawil! Extreme off-roading in the desert -- at least you'll be in good company! – accommodation outside Khartoum as mentioned on the program and based on full-board. – passport registration of 30.- Euro per passport included in the cost.